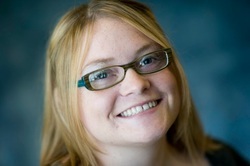 Kendra specializes in helping nonprofits and small businesses share their unique story through digital media. She has professional experience leading teams and enjoys working with and motivating others. Kendra is focused on making a difference by connecting arts & creativity initiatives with their audiences. Her education is in business, arts administration and interactive media. She enjoys reading, singing karaoke, exploring Twin Cities cultural offerings, and spending time with her partner Greg and their dog and two cats. Digital Experience: Twin Cities Theater Bloggers, The Lady Cave, Cardinal Restaurant and Bar, Minnesota Women's Press, SteppingStone Theatre for Youth Development, The Ritz Theater, Ballet of the Dolls, Teatro del Pueblo, The Arts & Culture Partnership of Saint Paul, Gadfly Theatre Productions, People Sittin' Around Doin' Theater, Midwest Kayak Expeditions, and Teen Ivey. "Kendra is an AMAZING talent and take-charge professional. Well-rounded artistically and administratively, she is an incredible graphic designer as well as an organized businesswoman. Kendra's drive, passion and attitude are positively infectious. She can get the best out of any group and is a great influence no matter what the job may be. Always going more than above and beyond, she's an asset to any team." "Kendra made our site a lot more user friendly. Whenever we have a question she responds right away to help us. I think the best thing Kendra has going for her is she really enjoys helping people."